“People listen on headphones, or crappy bluetooth speakers. 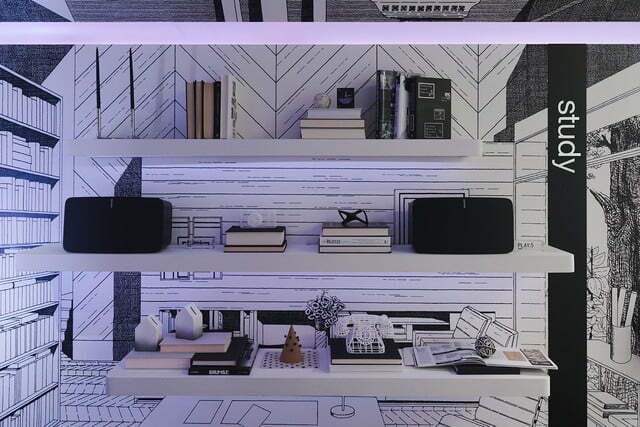 Music is being lost in the home.” — Dmitri Siegel, Vice President of Global Brand and Executive Creative Director for Sonos. 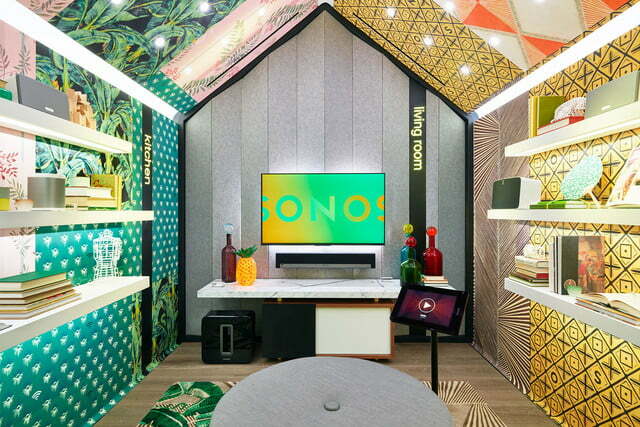 Home is where the heart is and the heart of Sonos’ new 4,200-square-foot retail store is a recreation of the home experience. 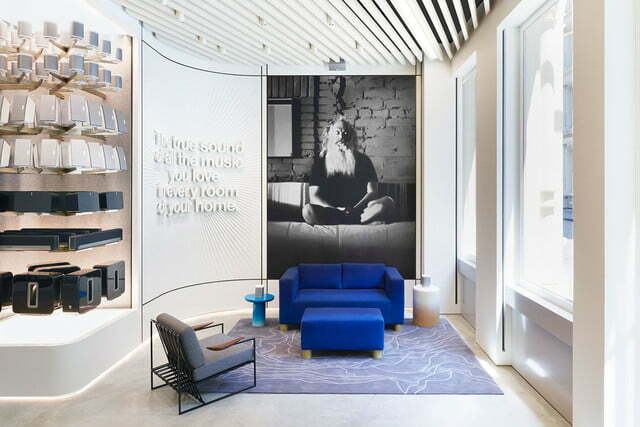 Located in New York City’s trendy SoHo neighborhood, multiroom audio pioneer’s first ever retail store was built following one core acoustic principle: 50/50. “We wanted a 50/50 environment. 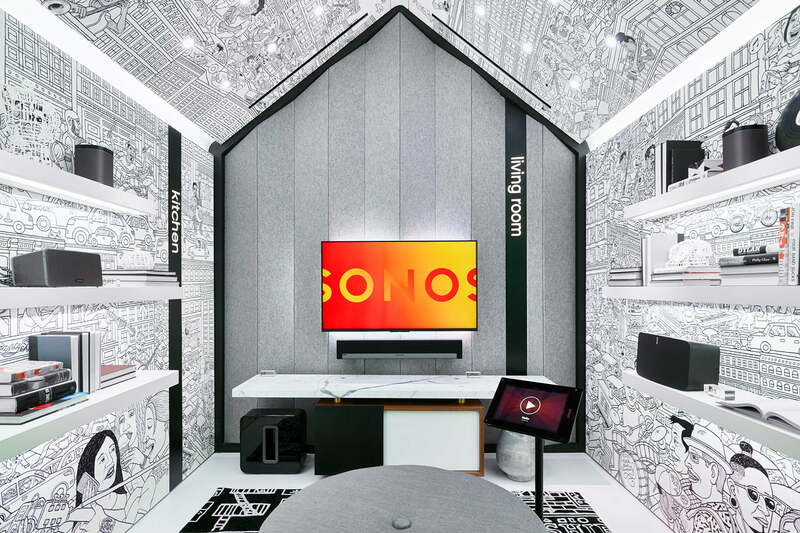 50 percent diffusion and absorption, 50 percent reflective,” said Whitney Walker, general manager of Sonos Stores, during a tour of the store, referring to the different manners in which sound interacts with the store’s surrounding environment. 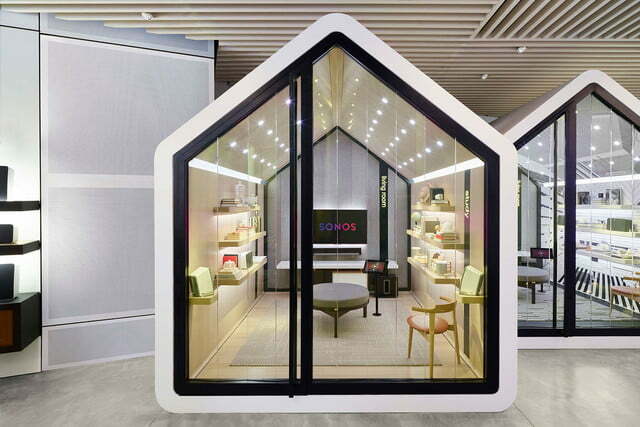 The result is a retail store that never feels as if it is trying to sell you anything other than a good listening experience. 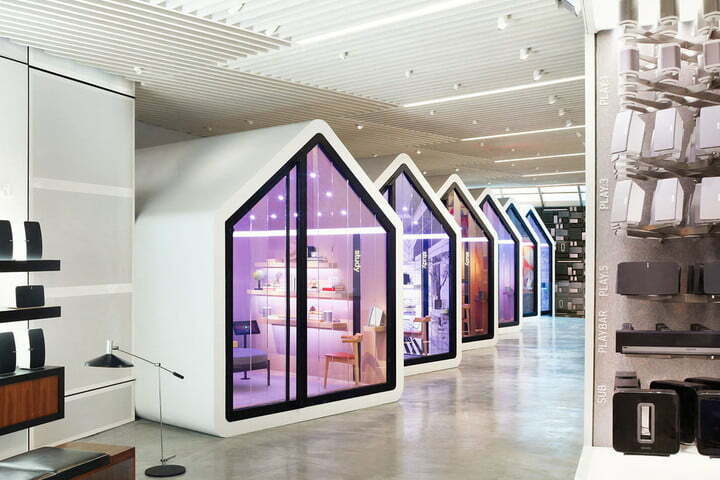 The highlights of the store are the seven listening rooms, each designed to “recreate that experience of going to somebody’s home” and hearing new music, according to Siegel. Digital Trends visited the new store a week before its July 19 opening and took a tour around to see what all the noise was about. 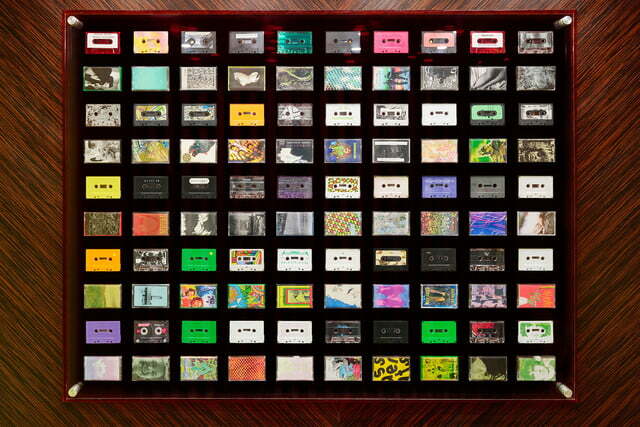 Sonos has created a retail store made of sound. 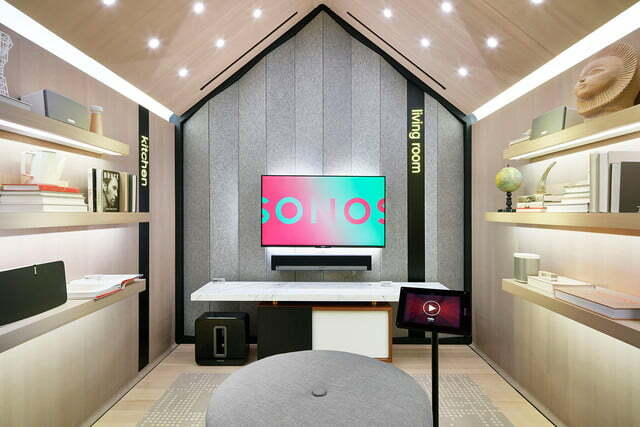 Besides the acoustics, the most glaring difference between the Sonos store and even similarly design-conscious retail stores from the likes of Apple is that there are no rows of products on display for sale, and even the gear you can test out is confined to the listening areas. 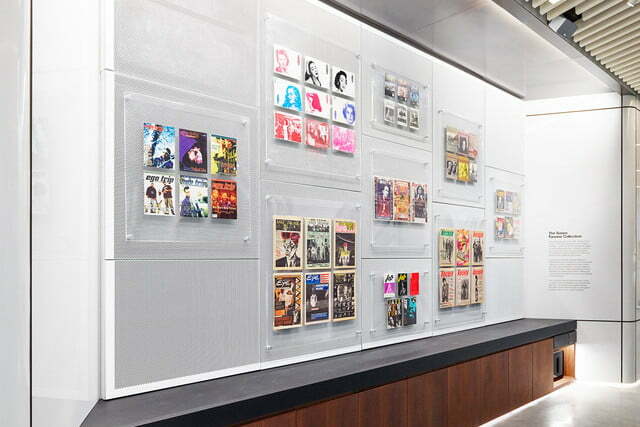 All of the point-of-sale devices are handheld, so in place of a checkout counter there’s an open space with a wall lined with out-of-print music zines from the past 50 years, including gems like Ego Trip, East Village Eye, and Rocker. 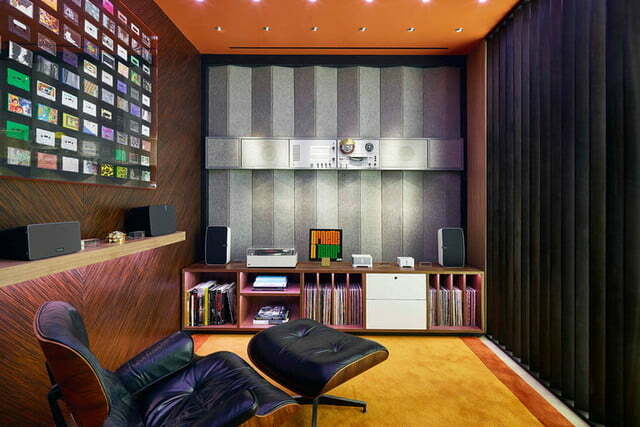 As you venture past the rows of listening rooms, and before you walk downstairs to the mini lounge area, you’re met with the image of a Wall of Sound structure perched against the back wall that would make Phil Spector smile (if Phil Spector still smiled). 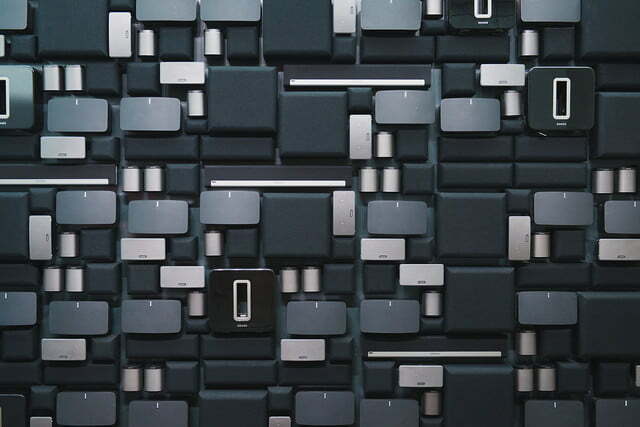 Sonos’ sound wall is a massive sculpture of 279 working Sonos speakers — only eight of which are active — designed to grasp the attention of people walking down Greene St. looking through the store’s glass windows. But, just like the rest of the store, this sculpture serves a functional purpose. 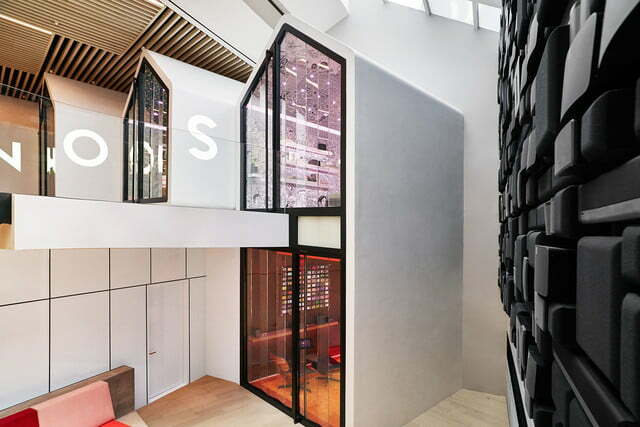 In order to account for sonic reflections cast by the large skylight just above it, the wall is also littered with black boxes made of acoustic foam wrapped in the same absorptive fabric you see on speaker grills, maintaining the 50/50 environment. Just like the main gallery, each room’s design is dedicated first and foremost to sound, built with four layers of acoustic sheet rock. Custom wallpaper lines the walls of a few of the rooms including architectural renderings, abstract illustrations, and sketches, giving them a vibrant feel. 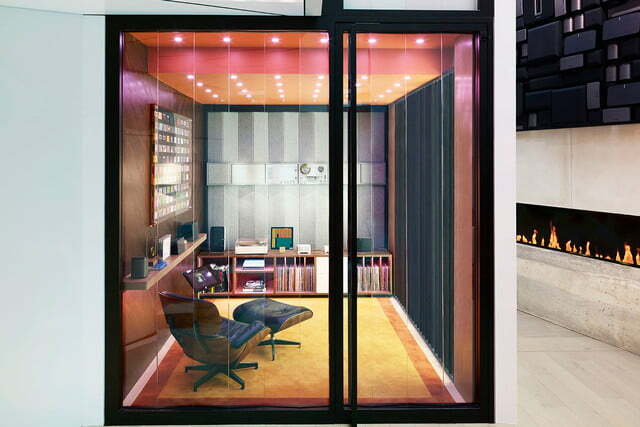 That vibrancy, often found in art galleries, is contrasted by modern home decor such as hand-woven rugs and a vintage Herman Miller Eames lounge chair. The rooms feel inviting, and are spacious enough to fit five people comfortably with a walking area just right for a small dance party. 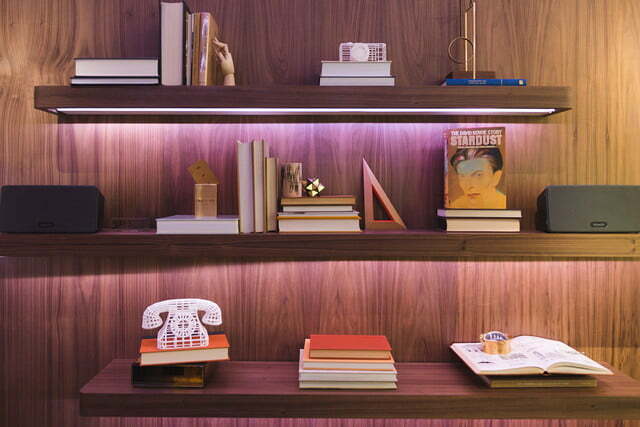 The shelves of books in the rooms help maintain the home aesthetic, but a few of the books have their spine against the wall to help create sound diffusion. 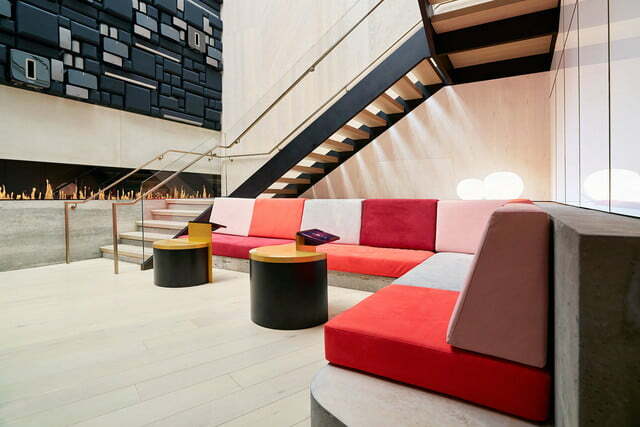 The back walls are acoustically treated with felt in a pattern where one piece is set over wood material — allowing for some sound reflection — and the next is set over acoustic foam for absorption, maintaining that 50/50 environment goal. Using the Sonos app on a provided tablet, you can toggle through songs pulled from major streaming services including Tidal, Apple Music, and Spotify. 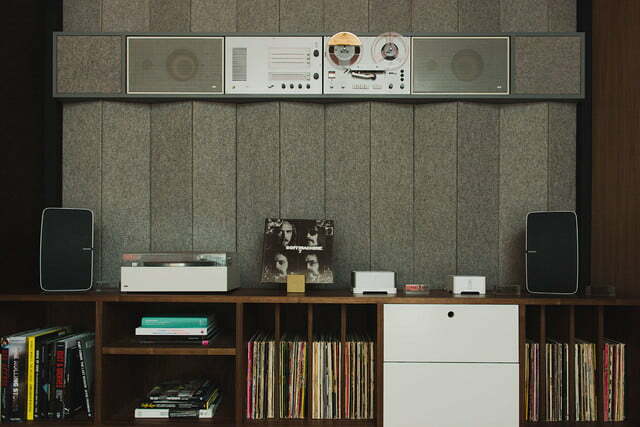 You can control each room section’s sound to test out the differences or just have fun mixing and matching. 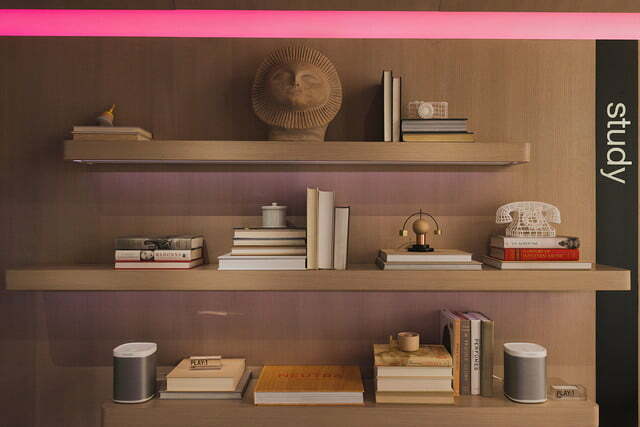 The Sonos app also has a “Products” tab which is the only place in the entire store where you can peruse through Sonos’ catalog. From there you can request a product and have a sales associate bring it up front. The setup provides a hands-off approach to the usual customer service experience of sales associates roving around, armed with smiles ready to answer any inquiry and tell you why the product you are testing out is perfect for you to buy. 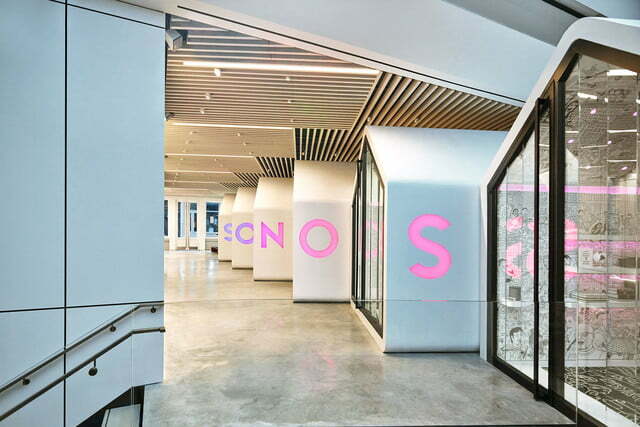 The Sonos store sales associates are referred to as “bandmates” and a number of them are musicians and sound engineers. 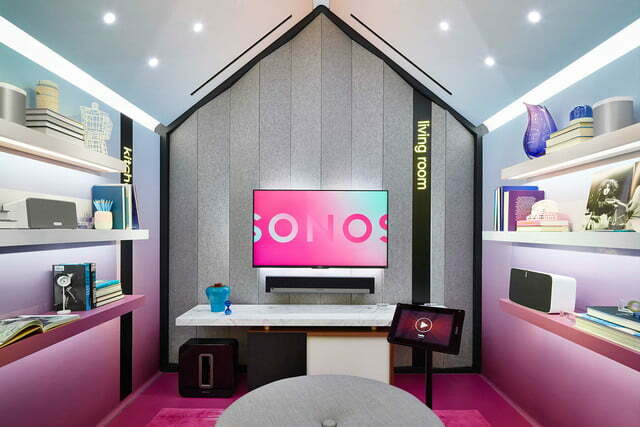 Sonos even employed Giles Martin, musician and son of The Beatles producer George Martin, as the company’s Sound Experience Leader to help design the store. 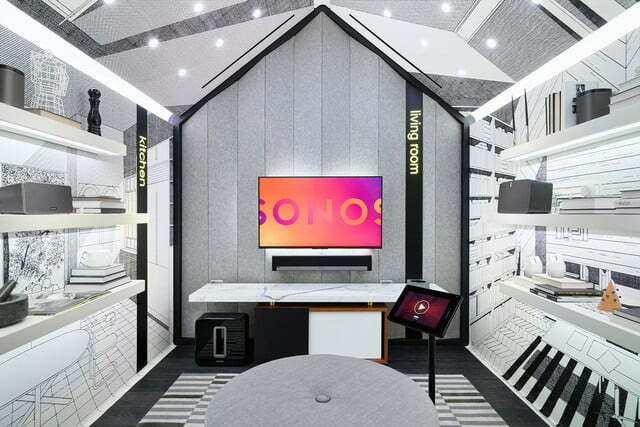 With listening sessions and live Pitchfork Radio broadcasts planned for the store’s debut week, Sonos has created a retail store made of sound. 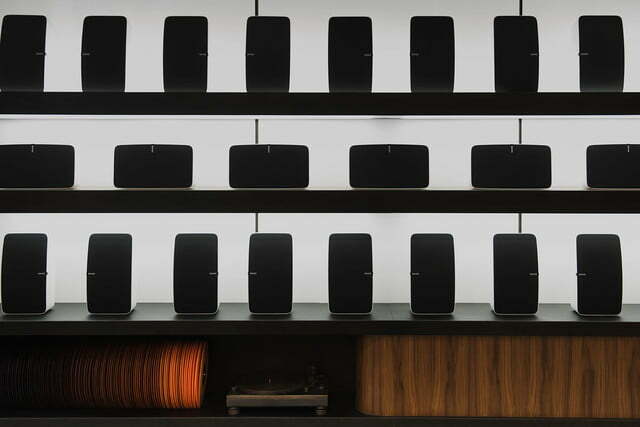 The premiere Sonos store opens Tuesday, July 19 at 101 Greene St. New York, NY 10012. Weekday hours are 10 A.M. to 8.P.M, with the store closing at 7 P.M on Saturday and operating from 11 A.M to 6 P.M. on Sunday.